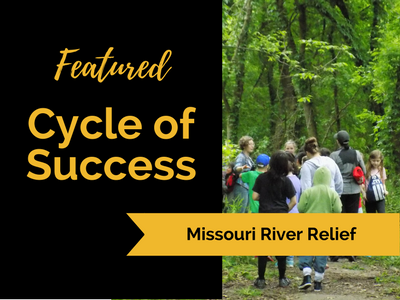 The University of Missouri has long been a partner and sponsor of activities offered by Missouri River Relief, a not-for-profit organization dedicated to connecting people to the Missouri River. 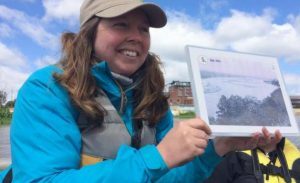 Now MOspace, the University of Missouri’s online repository, is partnering with Missouri River Relief to offer curriculum material to K-12 schools in Missouri. Common Trees of the Missouri River Bottoms: A Guide for Students is the first of these materials. Two Mizzou students assisted with its creation. Common Trees of the Missouri River Bottoms is not a foolproof taxonomic tree ID guide but instead a guide for a hands-on learning experience for elementary through high school students. It focuses on Missouri River floodplain trees’ bark rather than leaves, a unique approach to teaching and learning tree species. Many Missouri River floodplain trees are very tall with leaves out of reach, while tree bark is at the student level. Missouri River Relief is developing additional resources to be uploaded to MOspace, including Missouri River Curriculum, Missouri River Information Packets, and Missouri River STEM Challenges.